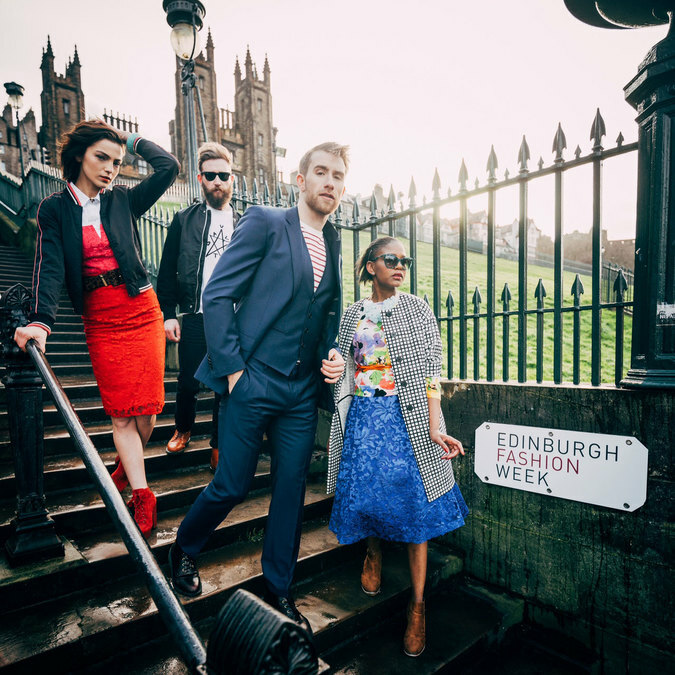 As Edinburgh Fashion Week returns, with the Edinburgh Charity Fashion Show in tow, we consider the event's individual flair and take a look at what's in store. When hearing the words ‘fashion’ and ‘week’ in the same sentence, a mere empty space between them, many fashion lovers’ eyes will glaze over. During these weeks, sightings of impractical footwear soar, wearing sunglasses inside is acceptable and combining purple mohair with acid green leather seems entirely appropriate. Every global fashion week has its own persona, and different street style wildlife swarming around it: Milan is colourful and adventurous like Anna dello Russo, London obsessively irreverent, but with superb nonchalant coat-wearing skills, and New York more down to earth – one would almost say practical, but this would probably hurt the feelings of the already injured toes and heels of stiletto-sporting NY visitors during the event. And then Paris – ah, to have seen the perfect mastery of over- and understatement, more complex than quantum physics, that Paris street style provides. Doesn’t that just mean one can die happy? Now that Edinburgh Fashion Week is about to see its second edition, it’s high time to ask: what is Edinburgh’s fashion persona? Is it mostly tarted up in tartan, sensible in tweed or a Barbour jacket, or will it develop a dazzlingly new range of spanking new style tricks? 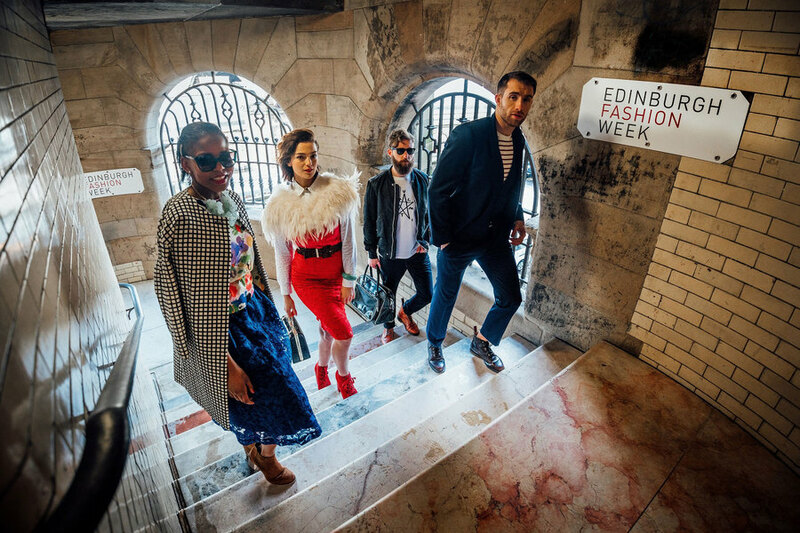 This year’s Edinburgh Fashion Week is set to take place over the week of 5-13 March, and will provide ample food for fashion-related thoughts. The absence of large design houses presenting their new collections could be a slight challenge to the development of a city’s inner fashion god(dess). Instead, Edinburgh Fashion Week is an initiative of Essential Edinburgh, a so-called business improvement district, or an area where businesses vote to invest collectively in local improvements, encouraging shoppers to spend more in the area. Of course, getting people to buy things is an essential component of every fashionable endeavour, and during the launch weekend, different events held on the Mound will do exactly that, but also much more. Spring/summer shows from John Lewis, Jenners/House of Fraser, the West End, Princes Street, Thistle Street and George Street may not be expected to be at the cutting edge of fashion, but the styles presented might be a lot more wearable than, say, Hussein Chalayan’s melting lab coats or Rick Owen’s human backpacks – though the latter seem spectacularly affordable. Perhaps a first characteristic of Edinburgh’s fashion persona, then, is an element of pragmatism, for these shows could place fashion squarely in a Scottish summer and spring, with a lesson or two in lavish layering. For more experimental work, hold your breath until the closing event of the launch weekend, when some of the Edinburgh College of Art’s postgraduate designers present a creative collective. Certainly, they will add some unexpected elements to the mix. Will they put Edinburgh’s fashion week persona in skin-tight latex, give it some fetish heels, or dress it in artfully distressed denim that shows skin in places it didn’t know it had any? Anything could happen. Another important aspect of Edinburgh’s fashion character is that it has a big heart: not one, but two charities will be supported in two distinct shows. On 5 March, breast cancer charity Walk the Walk will host a Moonwalk fashion show and auction. The event is set to be a major happening, including contributions from fashion blogger Satisfashion and the good looks of Scot Street Style, as well as the attendance of Scottish designers and celebrities. Edinburgh Charity Fashion Show – what's in store? Then, on 11 and 12 March, it's time for the Edinburgh Charity Fashion Show. This year’s edition will be held in support of The Rock Trust, a charity that prevents and alleviates homelessness for young people in Edinburgh and the Lothians. Organisers are convinced that the event, which is to take place in The Biscuit Factory, will be both ‘thought-provoking’ and ‘unforgettable’, although there's an air of mystery surrounding exactly what this will entail. Instead of a traditional catwalk show, ECFS promises to showcase independent designers and boutiques in a way that has never before been seen in Scotland – that this is likely to be a positive direction is evidenced by The Rock Trust’s delight at being this year’s recipient charity. Their mission seems to have been an inspiration for the themes of this year’s show, for it focuses on Edinburgh’s urban environment, and ideas of creativity that have currency ‘on the street’, rather than only on a glossy catwalk. Indeed, in the words of ECFS Chairwoman Amber Coleman: "The core values of The Rock Trust really resonated with our creative vision for ECFS this year. We want to engage with our urban environment more and alter people's preconceptions of what we represent, be that fashion or homelessness. This year’s shows are about stripping away the unneeded, and exposing the core of fashion and society. We want our audiences to leave the factory with a fresh view of Edinburgh and homelessness." It looks as though ECFS provides the connection between Edinburgh’s fashionable character and its underlying soul. We can’t wait!